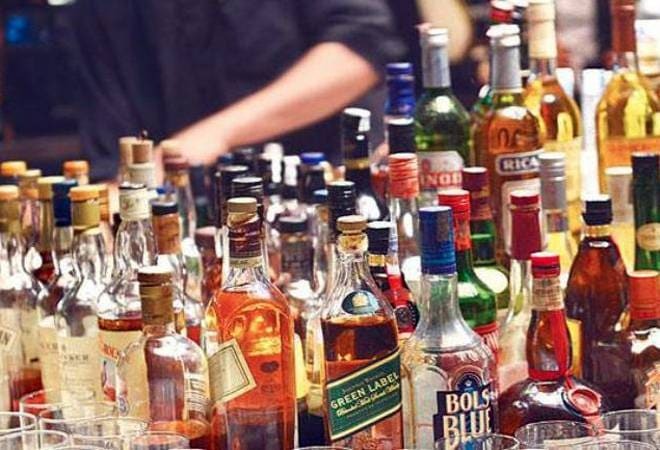 Following a directive from the Food Safety and Standards Authority of India (FSSAI) issued in 2018, all liquor bottles will carry cautionary messages of "Drinking is injurious to health" and "Don't Drink and Drive" on their labels from April 1. Next time you lay your hands on that bottle of spirit, beer or wine, you will see a statutory warning similar to the one on tobacco or cigarette packets. The decision to carry the warnings comes amid an attempt to make people aware of the harmful effects of drinking on their health. All manufacturers of alcoholic beverages will have to follow the FSSAI directive and ensure the bottles come etched with the warning prominently. As per the food regulator's specifications, alcoholic beverage bottles of up to 200 ml should carry the labeled warning message with capital letters no less than 1.5 mm high while the bottles larger than 200 ml will have letters 3mm tall. "Alcoholic beverages are also regulated under the food safety Act. However, there were no labelling regulations created under the Act so far because of which the manufacturers used to follow the excise laws and standards set by the Bureau of Indian Standards. Now that we have created regulations, these will have to be adhered to," Pawan Aggarwal, chief executive officer, FSSAI told Hindustan Times. The food regulator had in 2018 notified a separate regulation for alcoholic drinks. The new regulation called the Food Safety and Standards (Alcoholic Beverages Standards) Regulation, 2018 will apply on all distilled alcoholic beverages (brandy, country liquor, gin, rum, vodka and whisky, liqueur or alcoholic cordial), wines and beer. Apart from the cautionary message, the liquor bottles containing more than 0.5% alcohol by volume will also carry a label declaration about the alcohol content, no nutritional data, no health claim, allergen warning, and restriction on words such as "non-intoxicating" or words implying similar meaning.